Mohammad Nabi played a vital 45 run knock to help Afghanistan post 158 runs following which the spinners Mujeeb Zadran and Rashid Khan picked two wickets apiece to restrict Zimbabwe to 141 runs in the chase to win the second Twenty20 International and complete a 2-0 series victory. Earlier, Zimbabwe won the toss and decided to bowl first. Mohammad Shahzad (17) started the proceedings with three boundaries in as many overs but Blessing Muzarabani (2-48) in his fourth delivery had him caught at mid on. Muzarabani though leaked runs with Karim Sadiq (28) and Asghar Stanikzai (27) hitting him for two sixes and a boundary combined in the next eight deliveries he bowled to take the score to 45 for one in the powerplay. With two more sixes, the Afghanistan captain brought the 50-run stand with Sadiq as things looked ominous for Zimbabwe and just when they needed Graeme Cremer (2-20) brought them back into the game by removing both the set batsmen in successive overs. By the 12th over, Afghanistan were placed 88 for three. From there on only Nabi (45) and Najibullah Zadran (24) made a valiant contribution while rest of the batting capitulated with regular strikes from Tendai Chatara (3-20) and Kyle Jarvis (2-22). Afghanistan set a target of 159 runs for Zimbabwe to get and level the series. Mujeeb (2-21) struck early in the third over to castle Solomon Mire (2) in the chase. Hamilton Masakadza (29) and Brendan Taylor (15) were among the runs but scored at a strike-rate under 100 which meant the pressure of required run rate came heavily on the Zimbabwe middle order. Sikandar Raza (40) with his 26-ball cameo tried to keep Zimbabwe in the game but Rashid (2-23) was tidy in the middle overs and dismissed Raza and Ryan Burl (30) in the 17th and 19th over respectively to seal their chances. 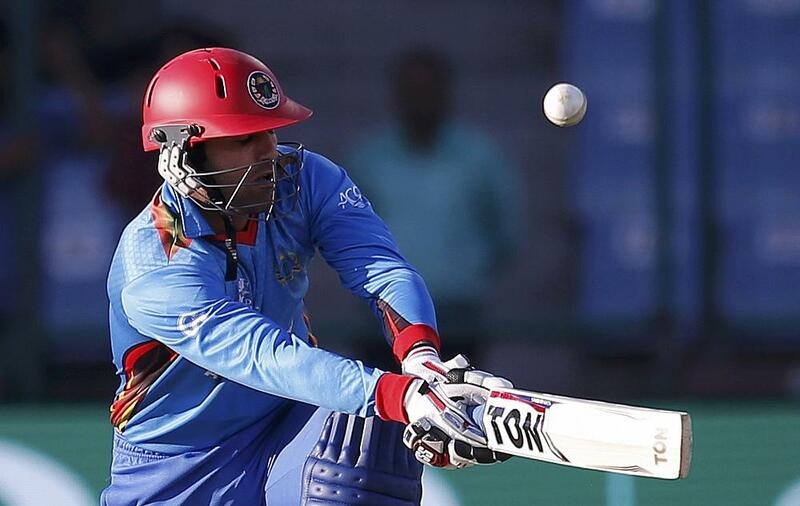 The 17-run victory meant Afghanistan have won both the T20Is finishing the series 2-0. Nabi was adjudged the player of the match.